This year I opted out of going home for the Holidays and spent them in Europe instead. After feeling a bit exhausted from 2018 I decided to take some time off and really enjoy the thing I like most, traveling. Europe is always a good idea and even better during the holiday season. It is something about the old charm that just kicks the Christmas cheer up a notch and makes even the not so “Christmasy” people like me get into to the spirit. 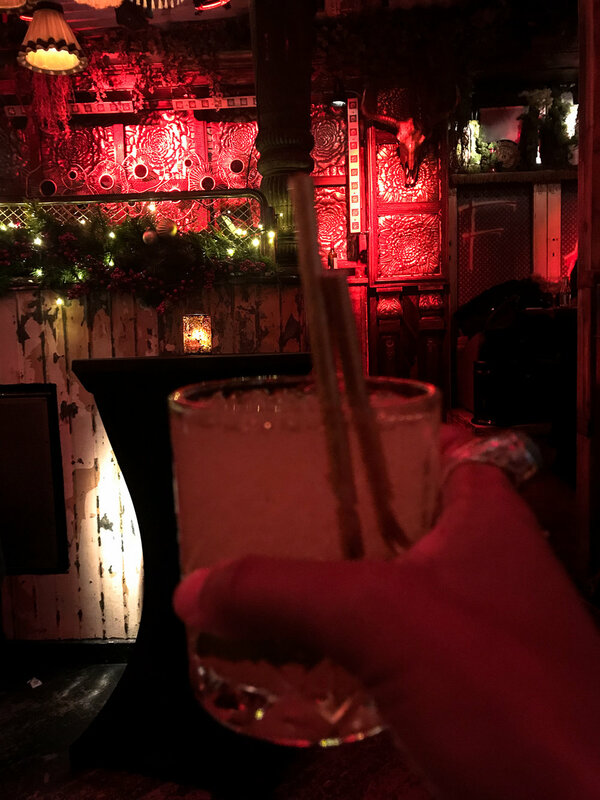 Traveling to other parts of the world during the holidays really allows you to see how other people celebrate (or not) and gives you a different perspective. Most of us have from a week to a month off around the holidays. While spending it on the couch binge watching Netflix, is cool, you could make the most of your time off and see more of the world. So next year think about really taking advantage of your days off between Christmas and New Year and head to Europe. Here’s why. The beauty of traveling in Europe is the ease and access you have to visiting neighboring countries especially in the Schengen region. Thanks to airlines like Easy Jet, Ryan Air and Vueling you can easily country hop for as low as 10 euros if you plan in advance. Apps like Blabla Car and Rome 2 Rio provide you with many options on how to get to and from different cities within the region. Just keep your schedule open and flexible. Within just a few days you can experience different climates, landscapes, languages food and culture. A plus: Because of all of the different travel methods Europe has to offer I found the airports a little less crazy than the US during the holidays. The Mona Lisa at The Louvre, Paris. Winter time vacations are getting more popular in Europe but they still haven’t topped the crazy spike in prices in Summer. 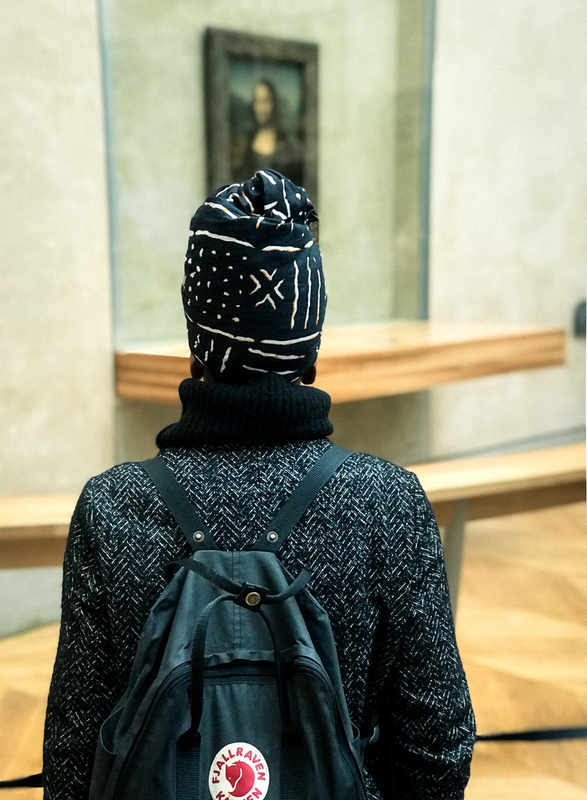 Save your Christmas shopping money, ditch the hostels and enjoy a more upscale experience in Europe during the holidays than you normally would. The key is proper planning and research. I was able to stay in nicer hotels that I would never go for in other times of the year because of holiday specials. With apps like Hotel Tonight and Booking.com you can take advantage of “day of” deals and holiday discounts. 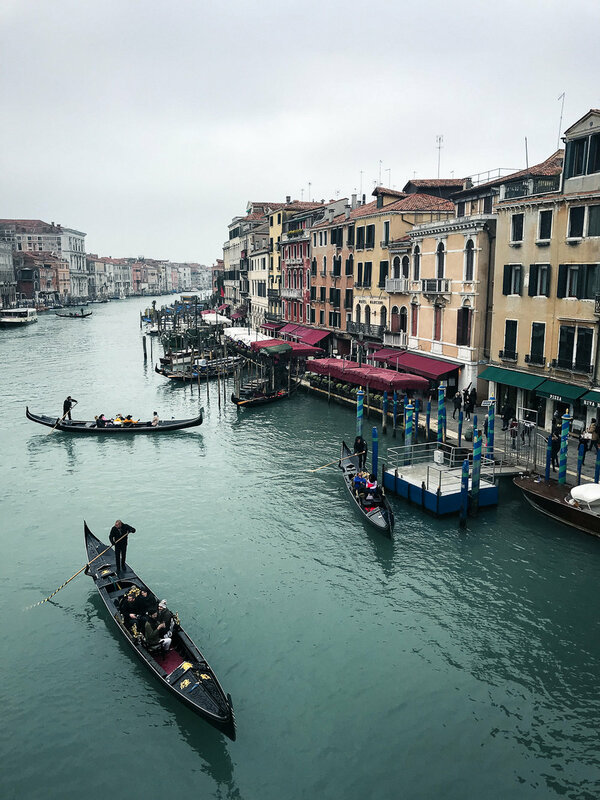 We upgraded to a 4 start hotel in Venice with a sauna and breakfast buffet on Christmas Eve from a basic boutique hotel and paid only 100 euros a night because we booked and paid the day of. I almost always try to book accommodations with breakfast as it just makes finding 1 of 3 meals of the day easier. I love being able to just go down stairs and have it all ready for me. 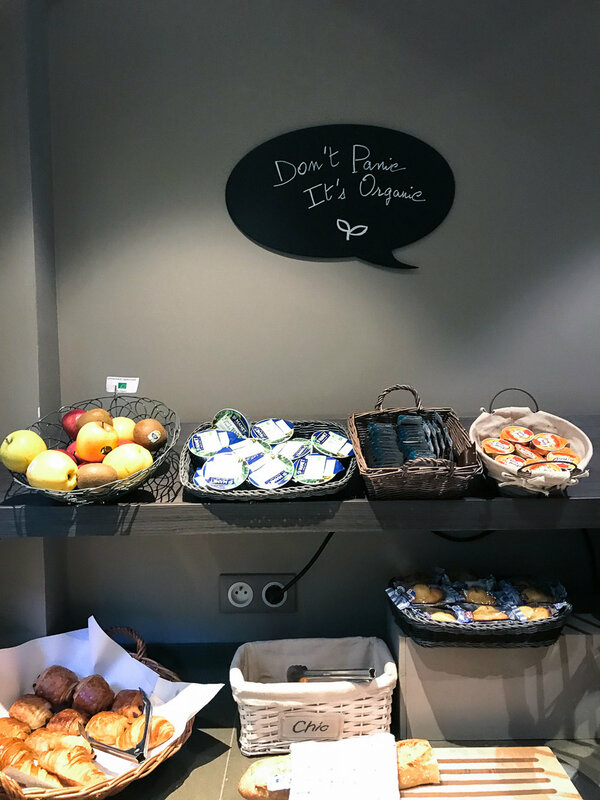 Hotel Chavanel in Paris was perfect for that. This beautifully designed boutique hotel is perfectly situated in the 8th arrondissement in the cute neighborhood Madeleine, central to Christmas spots like Gallery Lafayette and the Opera. It came equipped with comfy robes and slippers, fancy lattes and a quintessential Parisian view. Gotta love hotel Treatment. Hotel Chavanel, Paris. Parisian street view from Hotel Chavanel. Don’t get me wrong I am a loyal Airbnb-er but there is just something about the service of a hotel that makes you feel a little bit more relaxed and special. Hotel du Printemps is another great option for accommodations in Paris. A bit further from the action, it is in the 12th arrondissement but close to the metro and RER. With a bit quieter feeling it is great for someone really trying to relax on holiday, like me, or couples! The history of this boutique hotel is quite unique as it was built in the 1800’s and is located right near the former entrance to Paris during the French Revolution. The people and location make you feel more like a local which I love especially in cities I’ve been to a few times. Hotel du Printemps even has an app so that you can easily get acquainted with the area. Hotel du Printemps coffee in bed. Hotel du Printemps complimentary breakfast. This is literally all I did in Europe during my holiday. I can’t tell you enough how much I enjoy cafés. 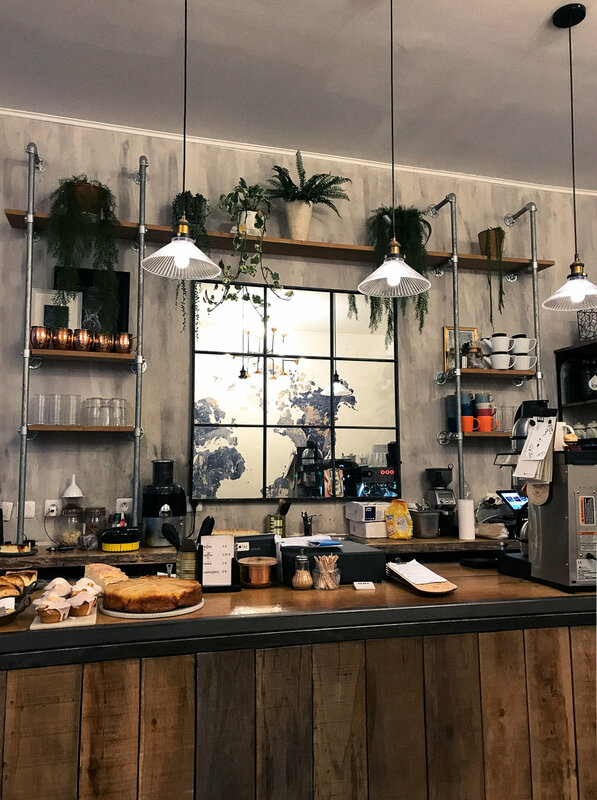 If you follow me on IG you know that I am a sucker for great coffee and cute cafés and Europe seems to get it right every time. 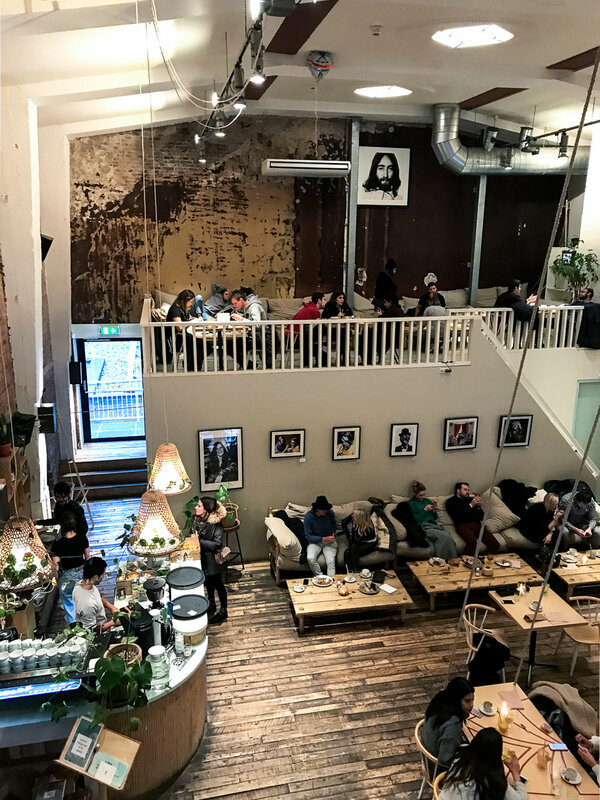 Café hop and sit sidewalks with outdoor heating in Paris, the mecca of cafés; get comfy in Venice by the canals while sipping hot chocolate or even crank out some work in Amsterdam with the most vibey café spots I’ve ever seen. No matter what country you are in, you will find something that suits your style. Side walk cafés in Paris. CT Coffee and Coconuts, Amsterdam. an endless variety of comfort foods. Between all the Christmas Markets and warm street food on every corner there is always something new to try when it comes to food in Europe. 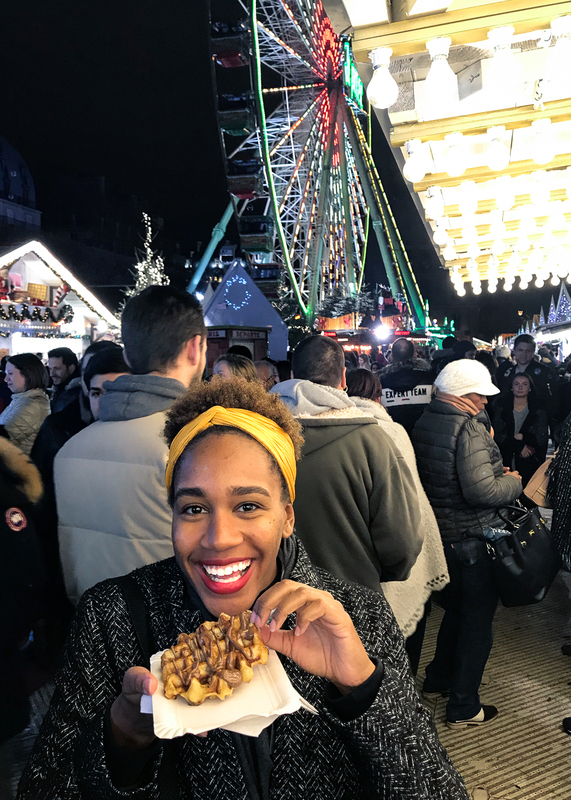 From beignets in Amsterdam, hot coco and tiramisu in Italy to chorizo sandwiches and fresh pastries in Portugal; crepes, hot wine and Raclette in Paris. Each country has their own specialty and even more so when it comes to Christmas time. Definitely beats having the same food four different times from four different family members houses. 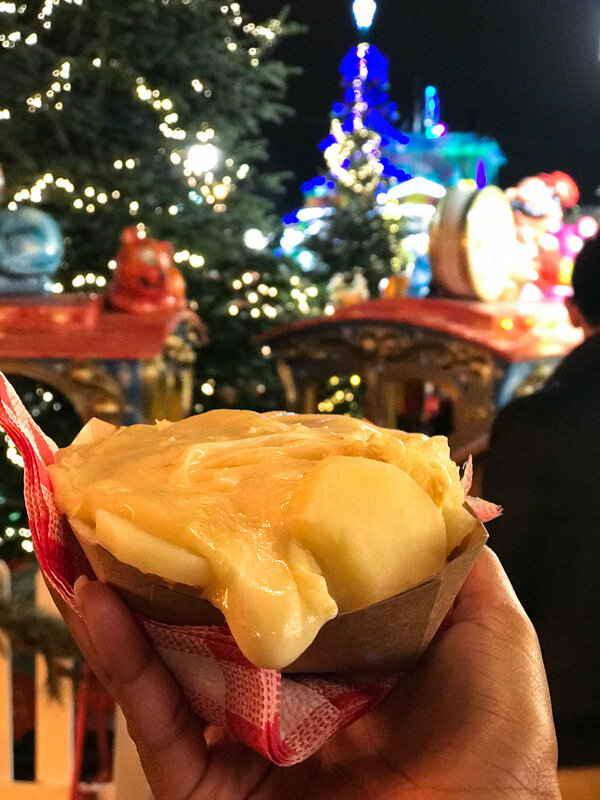 Raclette at the Christmas Market, Paris. 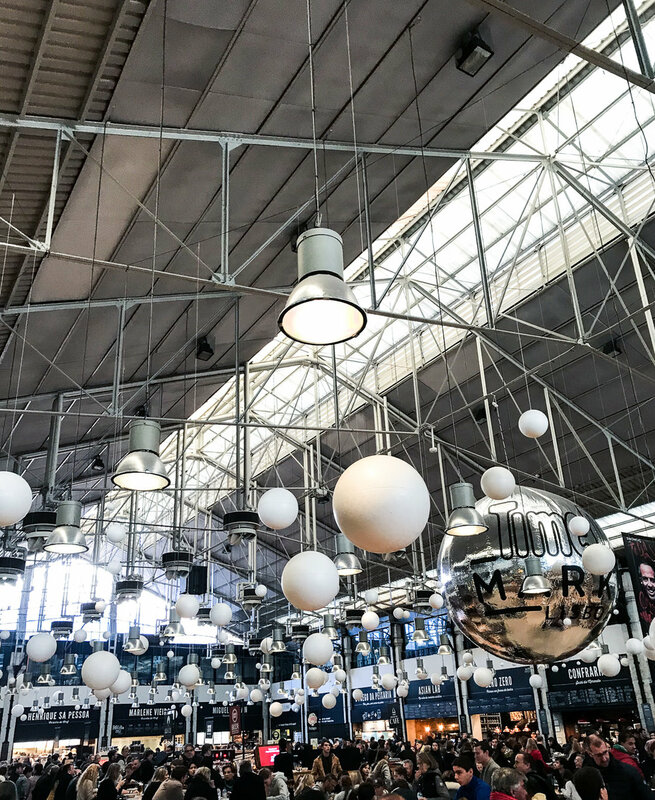 Time Out Market, Lisbon, Portugal. 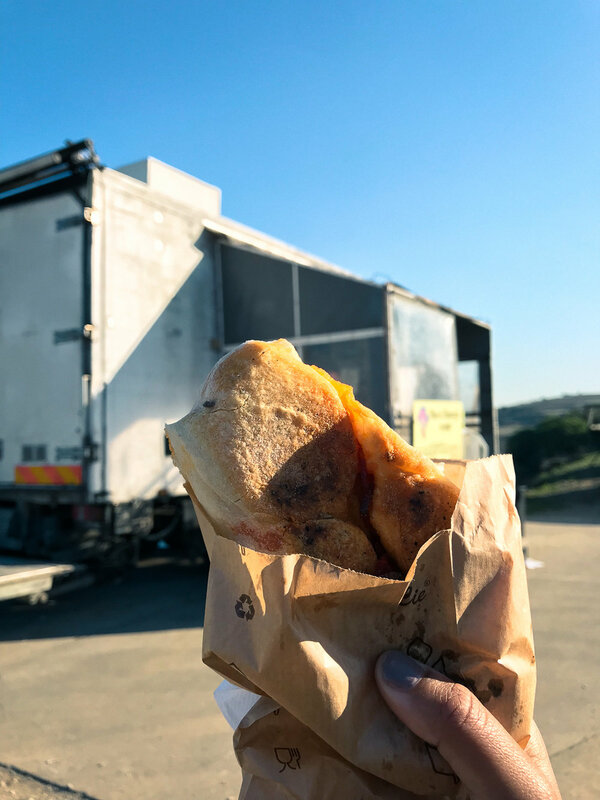 Pao com Chourico Food Truck in Ericeira. Life changing! Ring in the new year in a different time zone. Skip the Times Square madness and start a new tradition. I rang in 2019 in the streets of Amsterdam. Fireworks (too many) people dancing and laughing and having a good time. It was my first time bringing in a year in a different time zone than EST and it was pretty cool. Cities in Europe like Copenhagen, Amsterdam, Barcelona and Berlin (to name a few) are known for their street NYE parties and fun. Why not try something new? The Breakfastclub Amsterdam. Eating Olibollen (oily balls) at midnight on NYE is a dutch tradition. From all of the lights to the Christmas markets and amazing shopping traveling to Europe over the holidays really gets you in the spirit. The streets are filled with tourists and locals a-like getting their shopping done or just spending a little more time outside under the headed lamps of a café. Everyone seems to be more cheerful and in good spirits. No matter which countries you pick to spend your holidays in Europe you really can’t go wrong. All opinions in this post are my own. 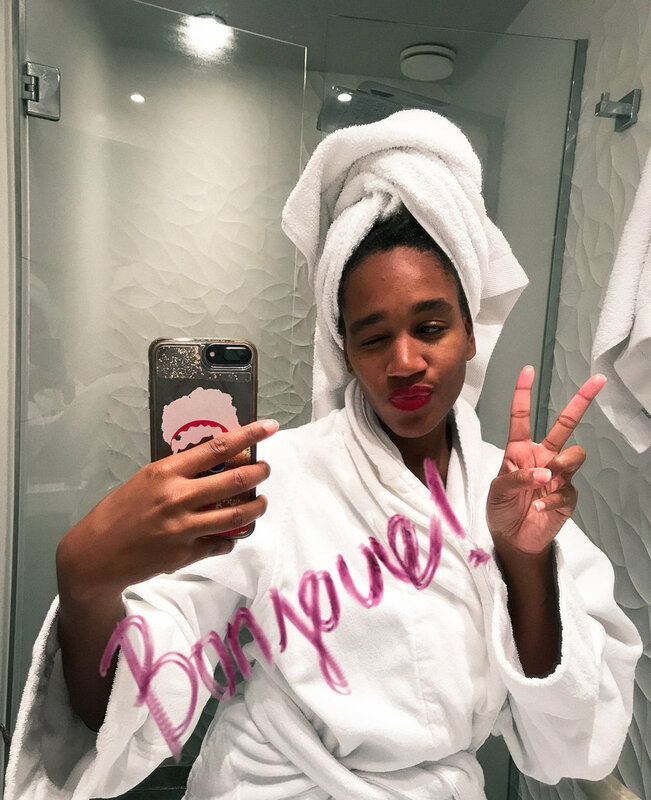 My stays in Paris were complimentary from Hotel du Printemps and Hotel Chavanel.